Spinach is a great way to add variety in a healthy plant-based diet (see also here, here). Spinach appears to be protective in vitro against breast cancer, brain tumor, kidney cancer, lung cancer, pediatric brain tumor, stomach cancer, pancreatic cancer, and prostate cancer cells, due perhaps in part to its chlorophyll content, which may protect DNA against mutations. 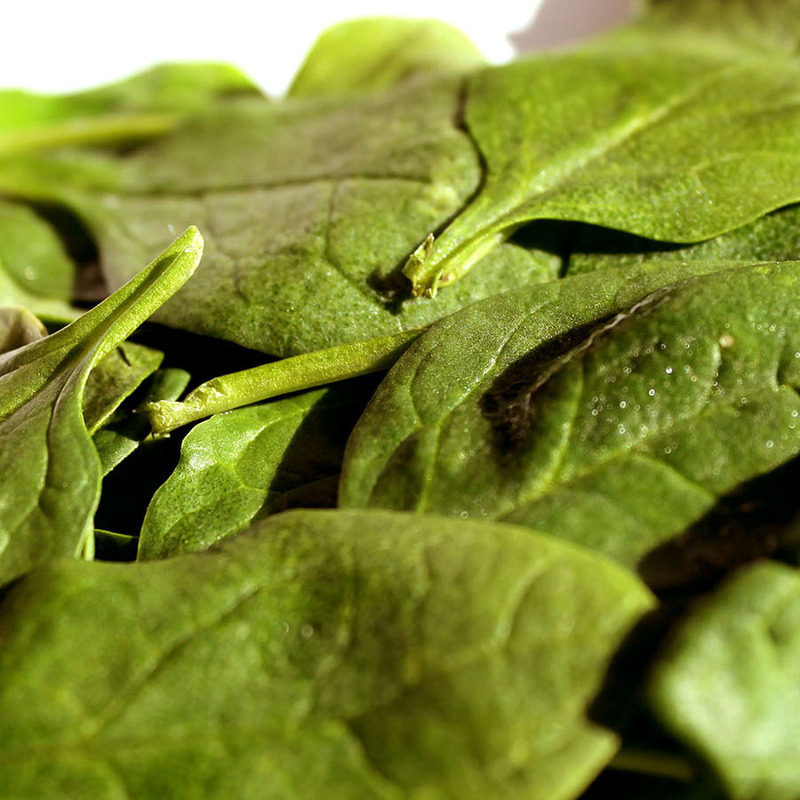 Spinach is a great source of folate, which may be preferable to folic acid supplements (though the latter should probably still be taken in early pregnancy). Higher dietary intake of foods containing folate may contribute to improved mental health and lower risks of depression and anxiety disorders. A single spoonful of spinach also has as much lutein and zeaxanthin as nine eggs (see also here). A third cup of spinach a day is recommended for optimal eye protection against age-related macular degeneration and other premature degenerative diseases. Spinach is also a good source of antioxidants. It also provides nitrates, which can in certain circumstances improve arterial function, athletic performance and even the appearance of wrinkles. Image Credit: Daniella Segura / Flickr. This image has been modified.